The Mackie DL806 redefines live mixing by combining the proven power of a full-featured digital mixer with the unmatched ease and mobility of an iPad. Seamless wired to wireless mixing allows control from anywhere in the venue giving you the ultimate control over your mix. 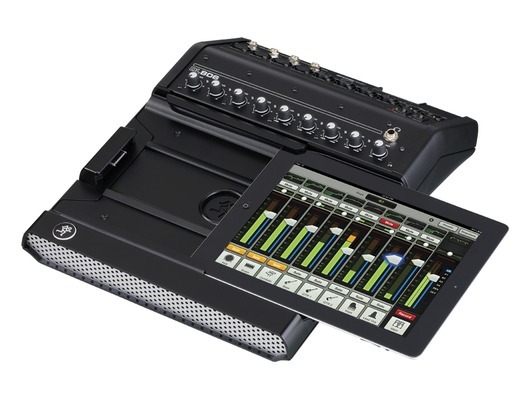 Ideal for bands, rental house and production/installations, the DL Series provides the mobile freedom to wirelessly control the mix and powerful plug-in processing. With boutique-quality OnyxTM mic preamps and the performance of 24-bit Cirrus Logic® AD/DA converters, you have unparalleled sound quality. DL Series mixers even support up to 10 wireless devices including the iPhone and iPod touch. Forget bulky consoles and racks of gear. The power is at your fingertips. Here we have Mackie DL806 Mixer in brand new condition and in B-Stock. The B-Stock versions would have been on display at a training evening or trade exhibition only and will come boxed 'as new' with all accessories and a 1-year warranty.